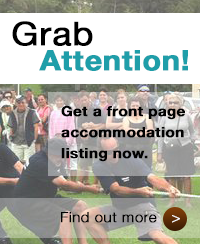 Ngunguru Waterfront Plans - have your say! This is the Ngunguru Waterfront Plan, a preliminary proposal presented by TCR&R to Sheryl Mai and Rob Forlong from the WDC in late November 2018. We need your feedback and your support. Without it we will get nowhere. So please have a look at the PDFs below - the plan has been split into 4 portions. And remember, these are a landscape designer's plans, based on feedback from our poll of residents on the Coast. 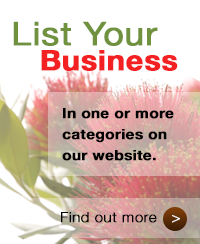 The design is not set in stone, so you have a great opportunity to tell us what you like and don't like about it. In 2017 the WDC constructed a new rock seawall in Te Maika Rd. Within weeks the wall was falling down in places, holes formed, and fill washed out. The slip-proof coating on the steps quickly washed off, and several people have reported having falls as a result. TCR&R were not happy at what had gone on, and knew that the WDC planned to do the same along the Ngunguru waterfront in March 2018. So in late February 2018, over just one week, TCR&R polled the Tutukaka Coast residents, via a mail drop to everyone on the RD3 postal network. After leaving out those people who do not want "Junk Mail", the number of households that would have received the flier is approximately 900. 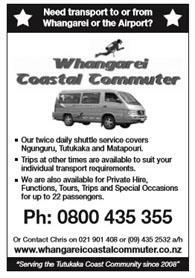 We also made people aware of the flier through the Association's Focus magazine, and on Tutukaka Coast Facebook groups. Respondents were only given one week to respond, as we understood that work on the main road seawall was imminent. The total number of responses was 213, a statistically significant quantity that made the responses firmly indicative of the population surveyed. 1) Would you prefer a new seawall like the one created recently in Te Maika Rd, or would you like something more like the Hatea Loop or other boardwalks around NZ/ the world? 2) If you want something better than a rock wall, are you prepared to wait - for new plans, funding, more consultation? 3) Reclamation/Piles: To provide enough space for cars, walkers, and cyclists by the sea, some reclamation would be needed, or there is the possibility of having a walkway on piles. And there are probably other solutions that have not been thought about. What are your feelings about a small amount of reclamation or a walkway on piles? Are you for or against it? 1) 90% in favour of a boardwalk, something like the Hatea Loop, New Plymouth, Warkworth, Mangonui or others around the world. The remaining 10% either were undecided, wanted nothing to happen, wanted a better seawall, or wanted the planned work to go ahead. 2) 92% of respondents preferred to wait for a better plan. 3) A resounding 85% were happy for either reclamation or a walkway on piles to go ahead. The balance were unsure, or wanted neither. Several people mentioned that whilst they wanted either of the two options to go ahead, they wanted the work to be environmentally sound. One person liked the idea of piles creating a new habitat for marine life. 4) 69% wanted picnic tables and/or bench seats, with several people asking for some shade over them. 44% wanted disabled access to the beach. Whilst some people thought that the boat ramps were suitable for disabled access, in some instances they are too steep or uneven, do not have a hand rail, and are probably not suited for mixed use. There was mention from several people wanting access for everyone to the beach, i.e. for prams and pushchairs, access for people with kayaks, wide access for parents with children so they can all sit along a step. 35% wanted lighting, and by lighting, they meant low level, subtle lighting to enhance planting and provide for safe walking at night. 32% wanted info boards or a kiosk or a pou, with their rationale being they wanted the history of the river to be told. 5% wanted rubbish bins, and 5% wanted sculpture or an art trail on the waterfront. Others wanted: a wider verge, BBQs (4%), fresh water fountain and shower, floating jetty/pontoon, platform above the water (across from the shops) for eating and fishing, a decent boat ramp, parking for campervans, a slide onto the beach, a dog friendly boardwalk (water station), a cafe with a terrace over the water, a natural playground, a shared use pathway (bikes and walkers). (NOTE: The percentages for everything from rubbish bins to a natural playground might have been higher if we had specifically asked about them, rather than left it for people to come up with ideas. But there's only so much room on a flier). You want to be able to walk, push a pram, possibly cycle by the water's edge. You want to easily be able to get from the boardwalk to the beach, and you want the beach to be accessible to all. You want plenty of grass to picnic on safely, without cars getting in the way, so we need to look at where those cars could go. You like the idea of a platform or jetty over the water, so you can enjoy the water while you eat your fish n chips.